Audrey Stone, whose life Figo saved, told the Journal News the dog “deserves the purple heart.” If you’d like to send her a card or note, mail it to Audrey Stone, c/o Trinity Lutheran Church, 2103 Route 6, Brewster, NY 10509. 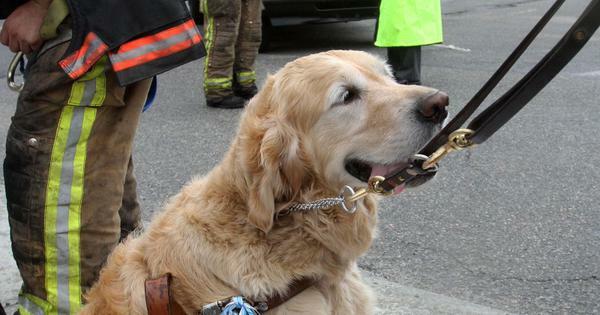 The driver of a mini-bus apparently didn’t see Audrey Stone, who is blind, and her guide dog, Figo, walking across a street in Brewster, N.Y., yesterday morning. Figo, however, immediately saw the bus coming toward them. He literally sprang into action and jumped toward the vehicle. “I don’t know if (the driver) thought (Stone) was going to move faster, but it looks like the dog tried to take most of the hit for her,” Paul Schwartz, who witnessed it all, told the Journal News. Both Figo and Stone were hit by the bus, but thanks to the guide dog’s heroic action, they are alive today. 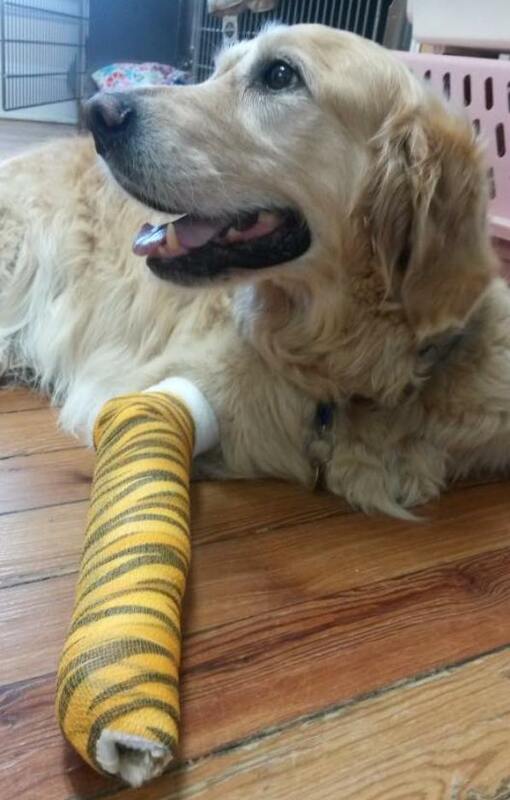 Stone suffered several fractures, and Figo’s right front leg was severely cut. Dogs are not allowed in ambulances, so after Stone was taken away to a hospital, Schwartz said the guide dog seemed kind of lost. Firefighters put Figo in their truck and took him to Middlebranch Veterinary, where he had surgery on his leg.